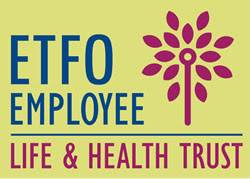 On February 1st, 2017 our Local will be part of the second wave of locals which will be switching from Board-provided benefits (currently Sun Life) into ETFO's provincial Employee Life and Health Trust (ELHT) benefits plan. This affects anyone currently receiving benefits on an LTO, and it also affects eligibility for LTOs to receive benefits. Provincially OT Presidents will continue to lobby ETFO to negotiate funding to include daily occasional teachers in the ELHT as well. January 3-13: OTIP will be mailing welcome packages to eligible members via Canada Post. January 17-31: OTIP will send eligible members their enrolment email to their Board email account. January 17-31: Benefits cards will be mailed to eligible members. March 3: Deadline for eligible Wave Two members to complete initial enrolment (31 days from February 1, 2017 transition date). How is eligibility different from our current plan? If you are currently covered under another group insurance plan (eg. through a spouse) you will no longer be denied benefits. Eligibility will be based on being in an LTO of 90 consecutive calendar days or longer (currently our eligibility is only if an LTO is known in advance to be at least 40 school days). If you are in an LTO less than 90 calendar days that extends past the 90 day mark, you will be eligible for benefits retroactive to the first day of your LTO. So keep your receipts for things like prescription drugs when starting an LTO that's not known up front to last that long, as you may be able to claim them if it's extended. If you're currently in an LTO, watch for the welcome package to arrive in the mail, and especially watch for the enrolment e-mail to come to your DSBN e-mail accounts. You have 31 days to complete your benefits enrolment online. In future, as you qualify for benefits (school boards have to provide employment information to ELHT weekly) you will be notified by ELHT and be sent the appropriate information.